Ben Whittier plays saxophone with the Ursa Saxophone Duo. Mr. Whittier is currently pursuing a Doctorate of Music degree in music performance at the University of Alberta, studying with Dr. William Street. He is the teaching assistant for the University’s concert band and plays in various groups in Edmonton. Prior starting at the University of Alberta, Ben earned a Bachelor of Music degree from the University of the Pacific and a Master of Music Degree from the University of Northern Colorado where he studied with David Henderson and Andrew Dahlke. 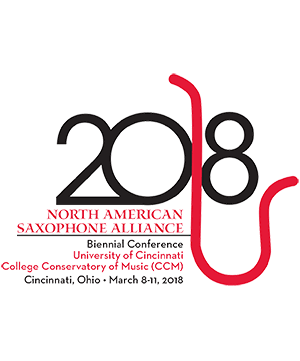 Highlights from Mr. Whittier’s performing career include performing as a winner of the University of Northern Colorado’s 2016-2017 Southard Chamber Music Competition and premiering a new work at the 2016 North American Saxophone Alliance Biennial conference in Lubbock, Texas. Ben enjoys teaching the next generation of saxophonists and working with composers, performing and promoting new works for the saxophone. Ensemble Bio: The Ursa Saxophone Duo was founded in 2016 by Courtney Long and Ben Whittier, graduate students at the University of Northern Colorado. Since its founding, the group has performed throughout Northern Colorado and at the Region II NASA Conference at New Mexico State University. The group is actively commissioning and premiering new works for saxophone duo from rising composers. The group enjoys performing together and sharing new music with diverse audiences. Apart from the duo, Long and Whittier enjoy careers playing and teaching music across the Rocky Mountain region. Courtney Long Alto Saxophone Courtney Long plays alto saxophone with the Ursa Saxophone Duo. She is currently pursuing her Doctor . . .
Ben Whittier Tenor Saxophone Ben Whittier plays saxophone with the Ursa Saxophone Duo. Mr. Whittier is currently pursuing a Docto . . .